A loan of $400 helped to buy an industrial sewing machine. Lisney is 31 years old and lives with her family in a neighbourhood located in the municipality of Barranquilla. She is a mother and has two daughters who are 9 and 2 years old and she lives with her partner. She is a graduate in psychology and made the most of her knowledge in designing and dressmaking for girls in order to start her own clothing brand, alternating her profession with this art. In 2006, her micro business began and from that moment on her main customers have remained the same; friends, relatives and people who have been referred to her who recognise her talent and think that it is much better to dress their daughters in exclusive and cutting-edge designs. 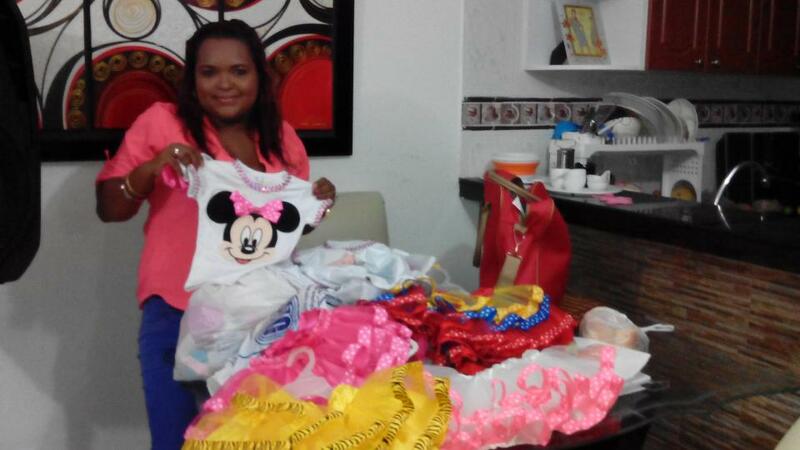 Lisney has applied for a Kiva loan, an opportunity to connect to the financial world through the Fundación Mario Santo Domingo, in order to buy an industrial sewing machine so she can make clothes because she currently has to use mobile workshops. With this funding she hopes to minimise times and improve costs in production. Her future aim is to give an excellent education to her daughters and buy her own home. Translated from Spanish by Kiva volunteer Lesley Reid. View original language description.